Social Media Marketing Tips: Day 9. Today's tip: Optimization Strategy Review. Today we summarize the steps needed to optimize social media content. 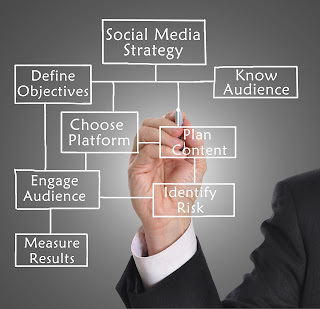 Analyze your business and determine your social media marketing goals. Decide which social media channels you will use. Build the social media accounts. Develop your content marketing strategy and create a publishing schedule. Create strong content - videos, blog posts, podcasts, tweets. Share your content on the social websites. Follow others on social media and engage with those you follow. Follow these steps to create greater visibility for your brand across social networks and search engines.